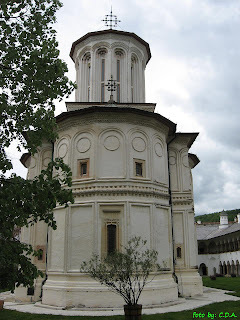 Situated near the town of Horezu, on the territory of Wallachia, the Horezu (or Hurezi) Monastery (a convent for nuns) was founded between 1690 and 1697 by Prince Constantin Brâncoveanu and it's considered a masterpiece of romanian Brancovan art (Brâncovenesc style - evolving from the Byzantine style, with Boroque, oriental and Renaissance elements). 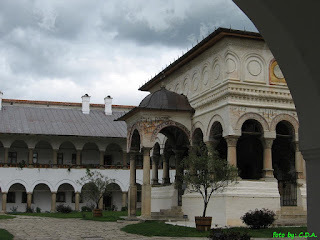 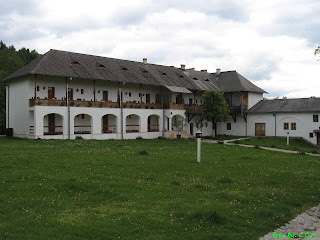 The same style can be found at Cozia Monastery and in other historical monuments from Bucharest. 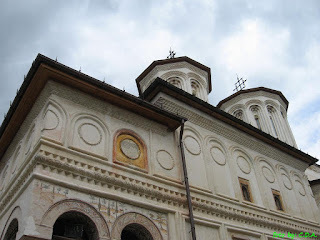 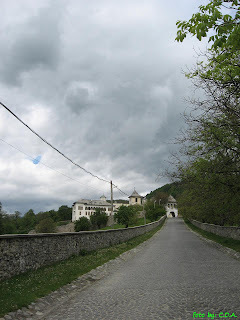 The monastery was intended to be a burial ground for the royal family, but Constantine Brâncoveanu and his sons were decapitated in the Ottoman Empire by the sultan in 1714 and his body can be found in a monastery in today's Turkey, while the big church from Hurezi olds an empty sarcophagus. 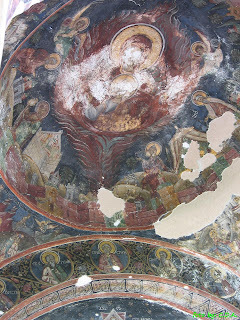 Most of the original mural paintings of the churches (dating back to 1692-1702) were preserved. 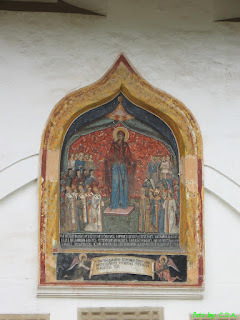 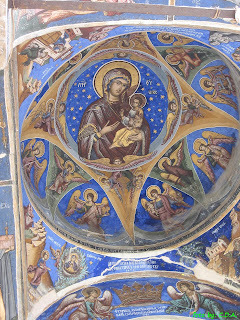 The school of mural and icon painting established at the monastery in the 18th century was famous throughout the Balkan region. 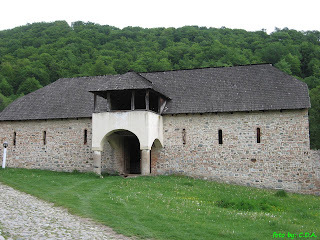 In the XVIII-the century the "Brâncovenesc" style became a national style, one of the greatest episodes of the romanian medieval art.